New incubation style thermal towers with automated retractable front cover that provides full gripper access to plates. Unit accommodates 10 standard microplates with plate specific MéCour Thermal Inserts providing uniform well to well temperature distribution. Towers offer multiple designs that provide maximum plate capacities. You can accommodate up to 25 plates in thermal tower pending available space on automation deck or benchtop. All towers made specific to customer requirements pertaining to X, Y & Z axis capabilities. 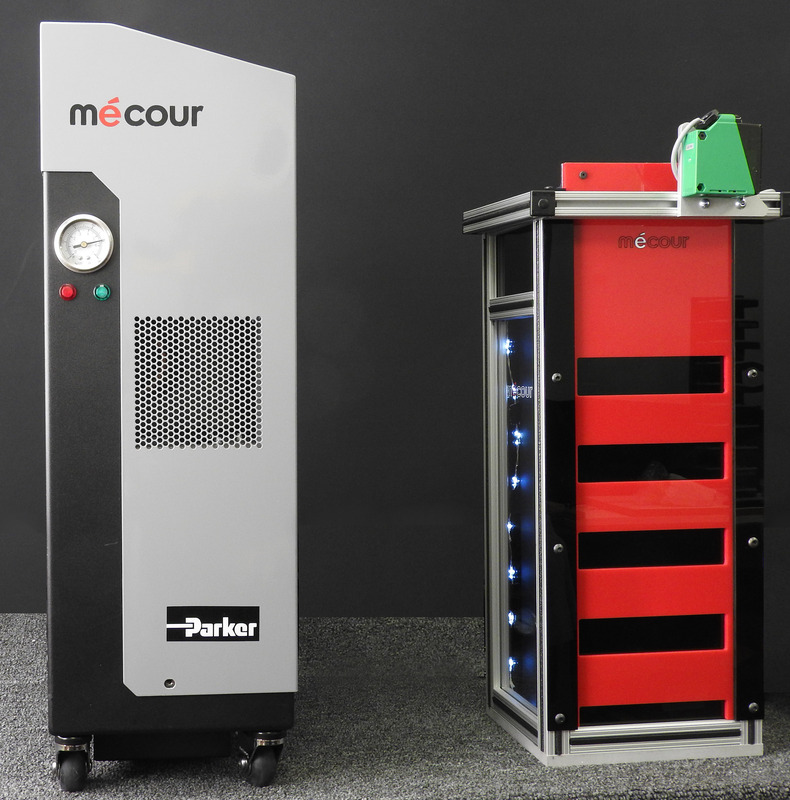 Retractable front cover controlled by air pressure and can be integrated with MéCour’s new MDAS Dry Air Purging system compressor. 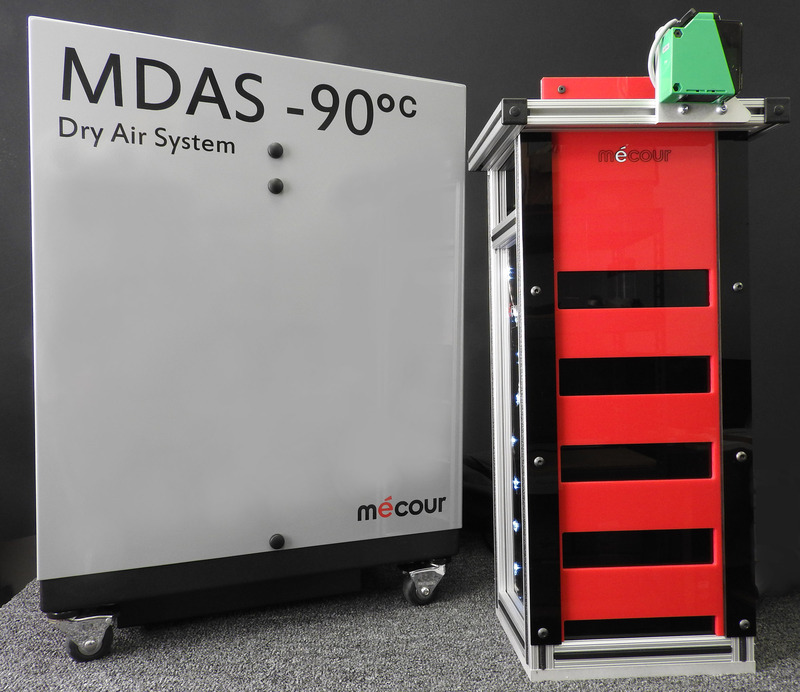 New MéCour Dry Air thermal system provides a condensation-free interior environment that eliminates unwanted condensation from an operating temperature range from ambient to -90°. Unit can be remoted up to 50 feet from application process, providing a constant purge of dry air as well as operating the retractable tower front door for gripper access to plates.